With the help of our 24-hour kiosks and online services, you can reserve your unit and sign your lease in no time! 10 Federal Self Storage is leveraging technology to provide a better self storage experience. Our facilities are open longer and offer better security, more customer support, expert maintenance at a great value. 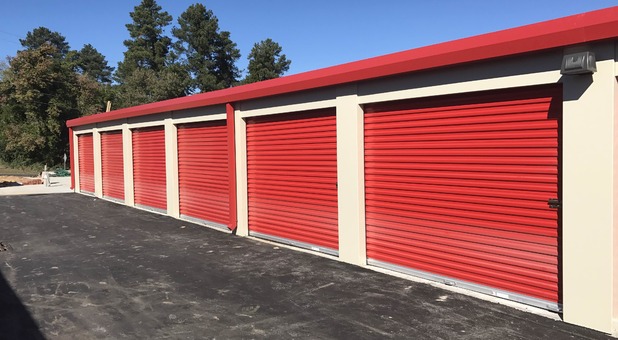 We’re the newest, most innovative thing to come to the self storage industry in years. We provide superior technology to simplify your storage experience, allowing you 24-hour access all throughout the year. Check us out today to take advantage of all we have to offer! Lease a unit anytime, anywhere! You can lease a unit through this website or visit one of our properties and use our onsite kiosk. Much like buying an airplane ticket, you just select the unit that’s right for you, enter your contact and payment information, accept the terms, you receive a confirmation email and you are good to go! You’ll have your own gate code to access the facility and can buy locks at our onsite vending machines. Beyond offering the most up-to-date process, our locations have all the comforts of any standard storage facility. Climate-controlled units keep your belongings safe throughout the year while drive-up access means you can load and unload your vehicle with ease. Online bill pay and reservation allows you to pay for and set up your account right from home. Our offices even sell supplies to get your project off on the right foot. We work hard to bring you the best that self storage has to offer. This means giving you a positive experience while providing you with superior service and attention to detail. Our call center is manned by friendly, helpful staff who can handle your most difficult storage questions. RV and boat storage, interior units, and secure grounds help make us the #1 choice in storage. Are you ready to put our service to the test? Reach out and contact us today. You’ll be ready to rent in no time at all!